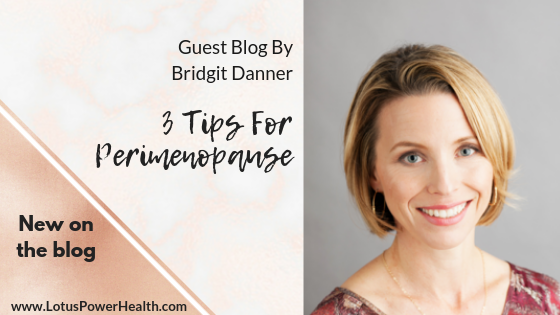 Let’s review the hormonal changes that occur at perimenopause and menopause, and then we’ll look at how to optimize your health and avoid weight gain, memory lapses, hot flashes, moodiness and insomnia. Menopause is when your period stops altogether, and the average age for this is 51. But perimenopause, a word rarely heard in our culture, is the 5-10 year period of hormonal fluctuation that leads to menopause. It is usually these years that are most challenging. During perimenopause, your ovaries are not functioning as well; this is a part of normal aging. But your brain still tries to keep the ovaries working, and some months it’s successful and you ovulate; sometimes it’s not and you don’t. The varying hormone levels that occur in these monthly attempts to keep cycling are what can cause symptoms. Estrogen dominance can lead to the dreaded heavy periods, frequent periods and mid-cycle spotting of perimenopause. 2. Get vitamin C. Your adrenal glands use a LOT of vitamin C, especially when you’re stressed or dealing with chronic inflammation, viruses, etc. You can use ½ lemon in water first thing in the morning and again in early afternoon. You can also look for a supplement with vitamin C plus bioflavonoids, and take 1,000 mg /day twice a day, if your doctor approves. 3. If you wake up during the night, you can still try the above tips, and you may need to look at your blood sugar and liver function. You should be able to burn stored energy as you sleep. If your body can’t do this, your body will spike your energy levels to release blood sugar, and you’ll wake up. Be sure to avoid alcohol, sugar and high carbohydrate foods before bed. Try not to snack between meals and get plenty of healthy fat in your diet from coconut oil, raw nuts, avocados, grass-fed butter or ghee, etc. If you have a great diet, don’t snack, and go to bed early, waking up in the middle of the night may indicate a more complex problem. If your liver is working overtime at night to deal with parasites or other infections, it can’t manage your blood sugar at night as well. This is no diagnosis, just something to consider with your functional health practitioner! The best part is that it’s all free and you can attend online from any computer or smartphone! Register here for your own Hormone Balance After 40!